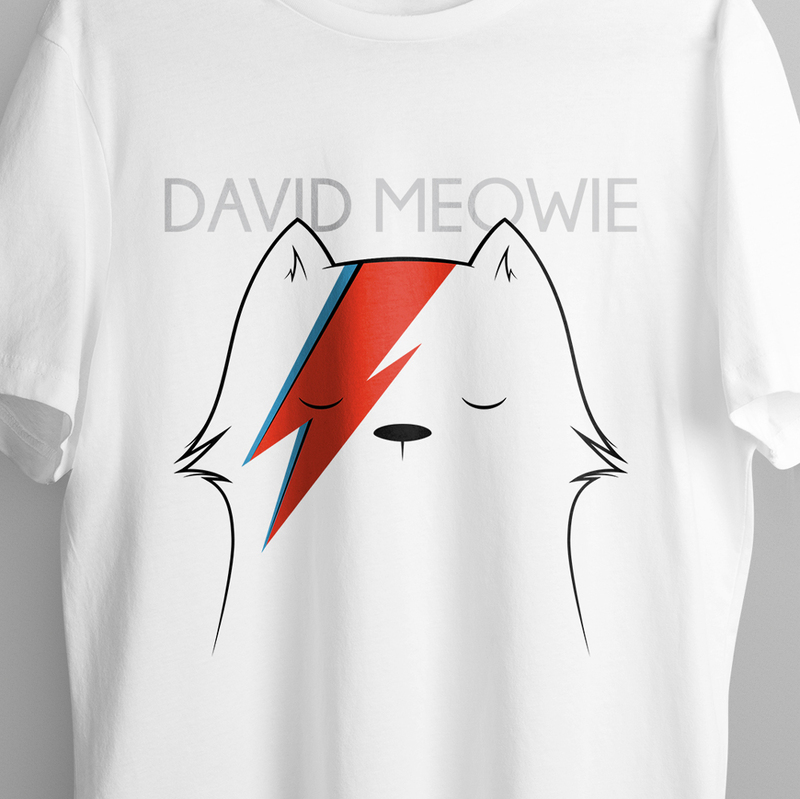 As a fan of David Bowie, cats, and terrible puns, this was a lot of fun to work on. The design started out as a sketch on my iPad. I wanted the results to be clean and bold so I stripped back as much detail as possible while developing it. 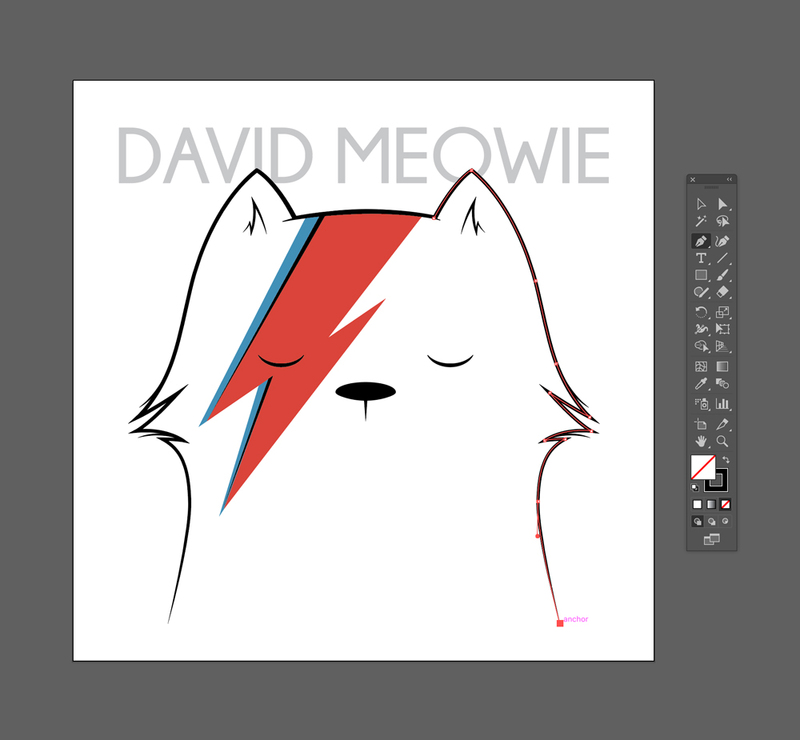 Once I was happy with the sketch, I traced it up in Adobe Illustrator using simple lines and a clean typeface. I wanted to avoid doing anything too fussy with shading and textures, so we could scale it down to a small sticker later on without losing any detail. … So who wants one? The t-shirts are now available to buy from Mercht for a (very!) limited time – just 18 days to be precise! Head on over before the 6/9/17 to grab one for yourself.